Spring is all fun and games until the pollen count rises, and some clouds over the US were so full with the sneeze-inducing substance, the sky turned yellow. I never suffered with hay fever as a child, and now I think back enviously to those carefree, warm days when I was able to go outside without my eyes streaming and my nose tingling ferociously. Little seven-year-old me had no idea how lucky I was. These days it’s all antihistamines and nasal spray, and the idea of sunbathing in a grassy park is nothing more than a pipe dream. That’s why I feel especially sorry for my fellow hay fever sufferers in parts of the south-eastern US, who were recently blanketed in a yellow cloud of pollen. 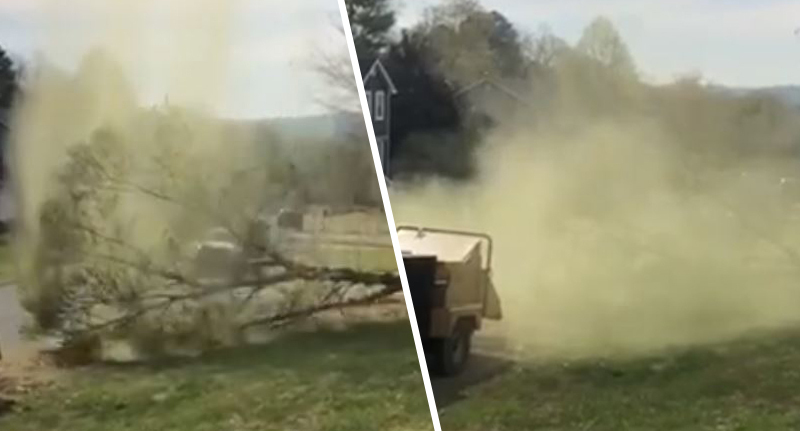 One video shared on social media showed pollen erupting from a falling tree in Hixson, Tennessee, and the footage itself might be enough to make your nose itch. The high pollen levels have been the cause of itchy, watery eyes, and sneezing for many in the affected areas, and according to ABC11, doctors in Raleigh have reported an increase in the number of patients complaining about their allergy symptoms. The smaller the pollen that’s invisible to the naked eye tends to be more of a trigger for the immune response than the larger pollen that we can see. In April in North Carolina we have an overlap for a couple weeks where we have pretty high counts of tree and then grass also gets started. So when we see that, if you are allergic to both, we tend to see an escalation in symptoms. Pollen counts for oak, birch, and juniper were particularly high in the area at the start of the week, and the doctor said it wouldn’t be long before another round of allergens gets the best of those already suffering. 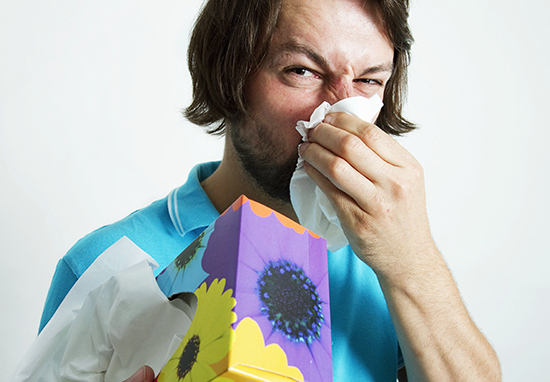 It seems like it’s going to be a long, sneeze-filled spring for many. Pollen experts say it’s advisable to shower and wash your hair and clothes after being outside, and take medication if you have an allergy to pollen. Hopefully the pollen count will drop before too long and give the poor sufferers some relief!